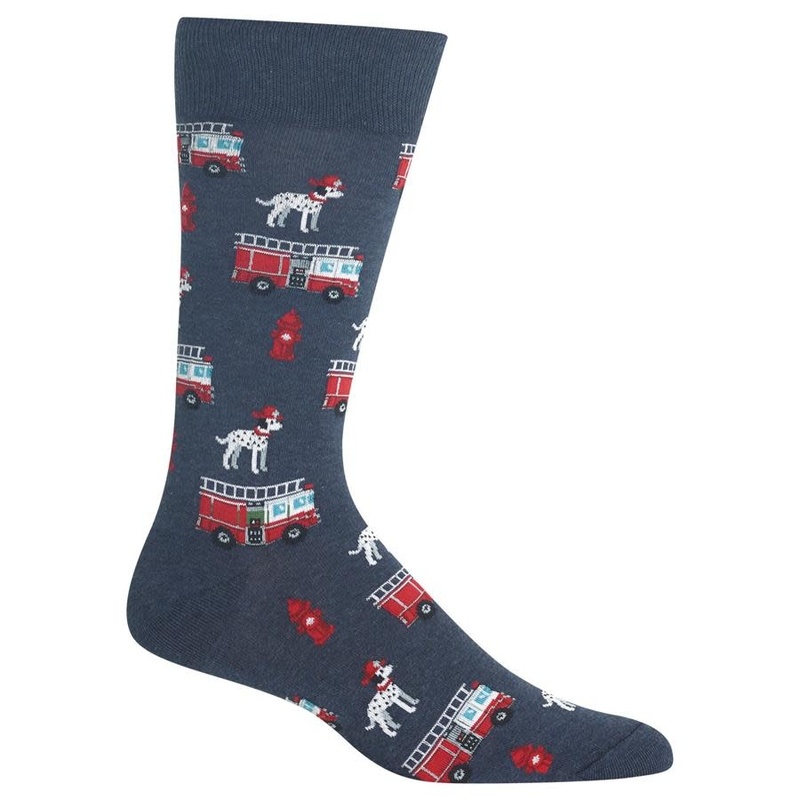 Whether you're going down the ladder or taking a break at the firehouse, these men's Crew Socks are perfect for the fireman's assortment of favorites. A bold print with fire trucks and the reliable firehouse Dalmatian elevate this go-to pair. Super soft cotton lends the perfect finishing touch! 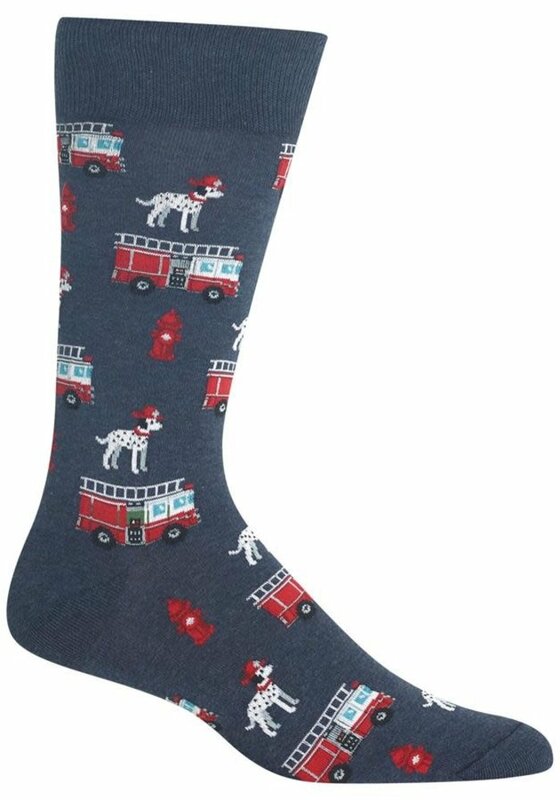 Firehouse-approved style with a recurring fire truck and Dalmatian print elevates these men's Crew Socks!